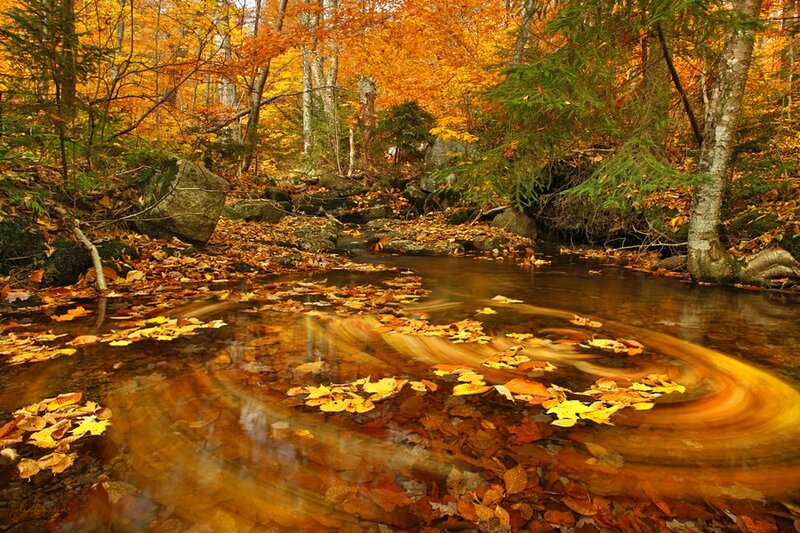 A stream on the side of Snowy Mountain, with floating leaves swirling around a pool. This photo is a composite of 3 images varying the shutter speed and focus points within the final photo. Photo © copyright by Johnathan Ampersand Esper.